Screen porches blur the lines between your outdoor and indoor living spaces and are great for extending the time you spend enjoying the outside. There are many details that make your screen room perfect for your family. 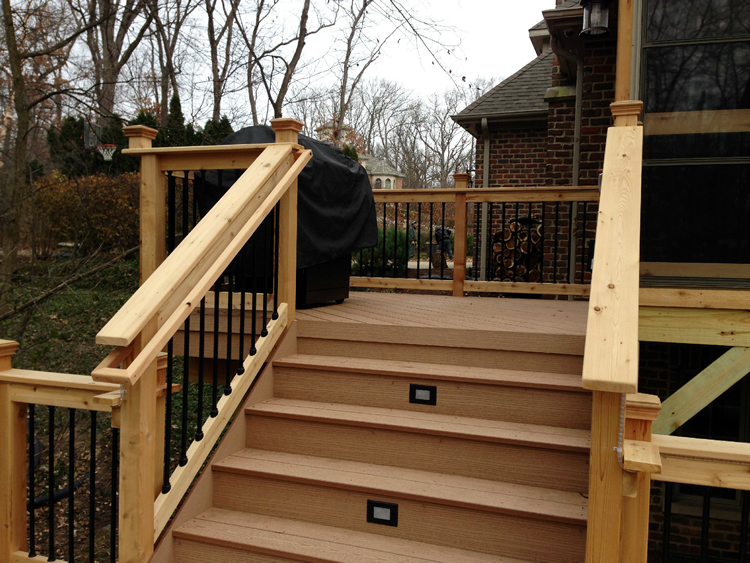 At Archadeck of Chicagoland, we enjoy helping our clients discover these details as we design the outdoor living space they envision. 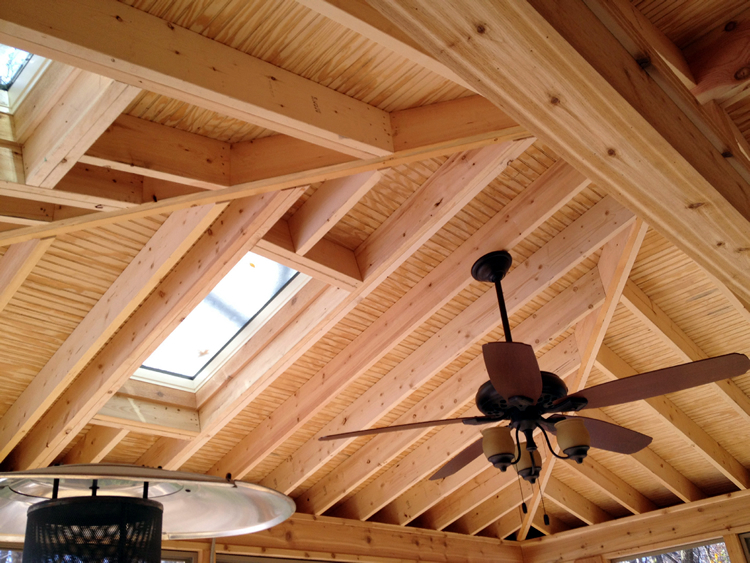 Comfortable living spaces allow you to enjoy the great outdoors while also offering protection from the rain and snow. 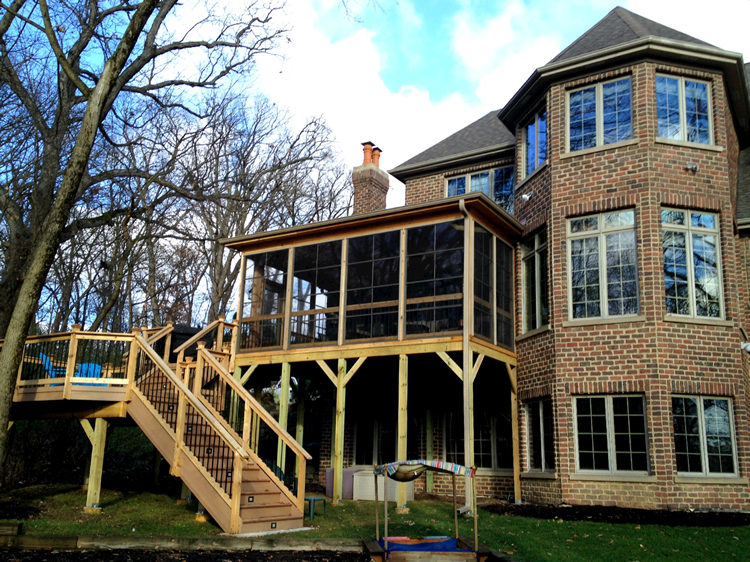 Enjoy the great outdoors in a custom screened porch! Aesthetically pleasing and highly versatile Vertical 4-Track windows transform your screen porch into a space that is usable three seasons or even all year round. These vinyl windows are available in multiple sizes and are designed to allow you to open them 25%, 50%, or 75%. 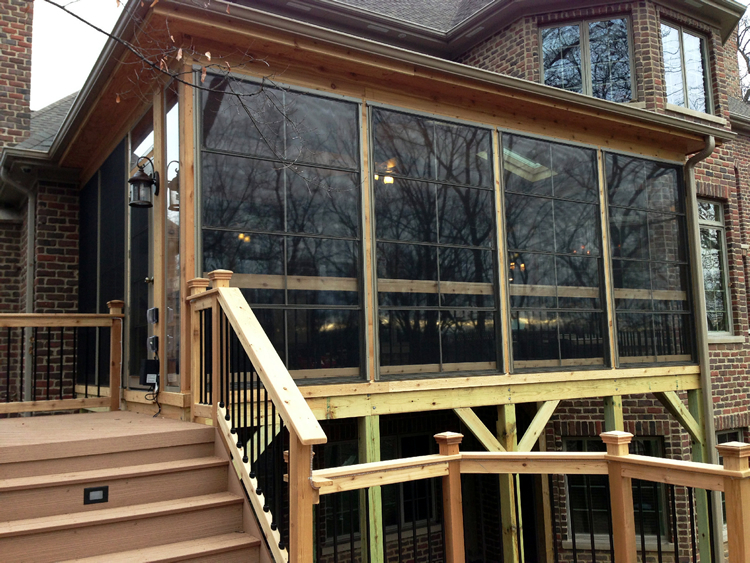 Adding vinyl windows will give you more hours in your screened porch! Lifestyle rails inside the porch function as both a safety feature and a drink rail, creating a space to place drinks, plants, and toys. 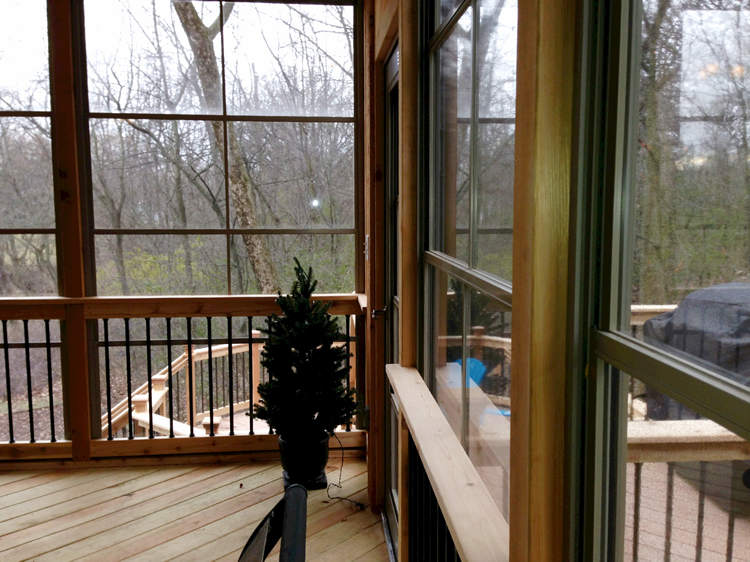 Railings add safety and function to your screened porch! Exposed beams and skylights give the room a bright, spacious, and airy feel. Low voltage lighting on the stairs light the way when the sun begins to go down. Never miss a step after dark! Rope lighting under the rails of the deck create a soft, ambient glow. 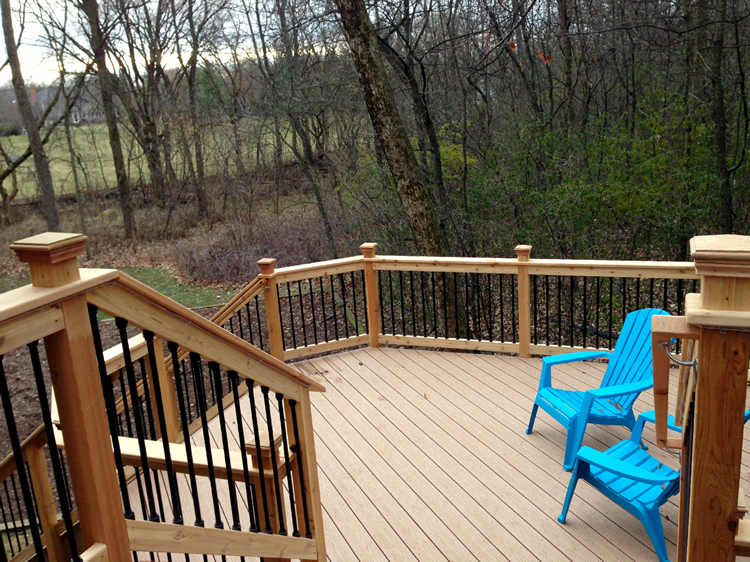 Deckorator pickets create a striking and beautiful look to the deck. Attaching decks to your screen porch gives you space for grilling and outdoor seating. 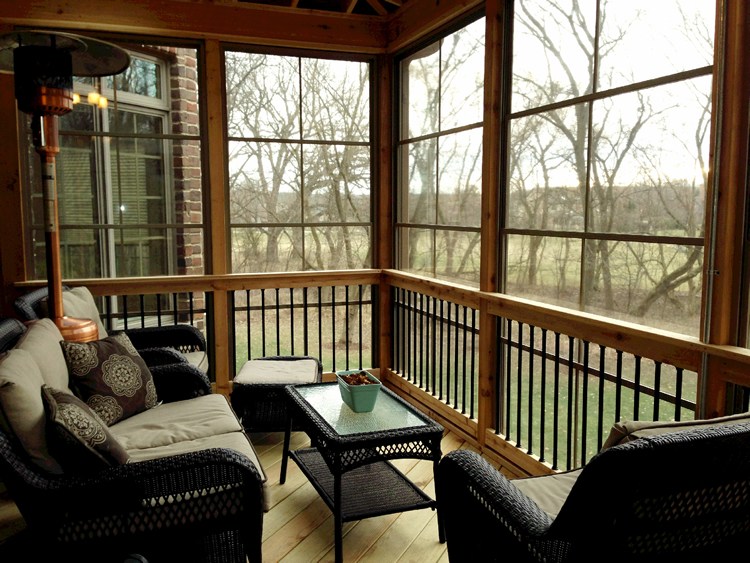 There are so many options available to you when building a screen porch. Our Design Consultants walk you through every step of the way, designing outdoor living space of your dreams. 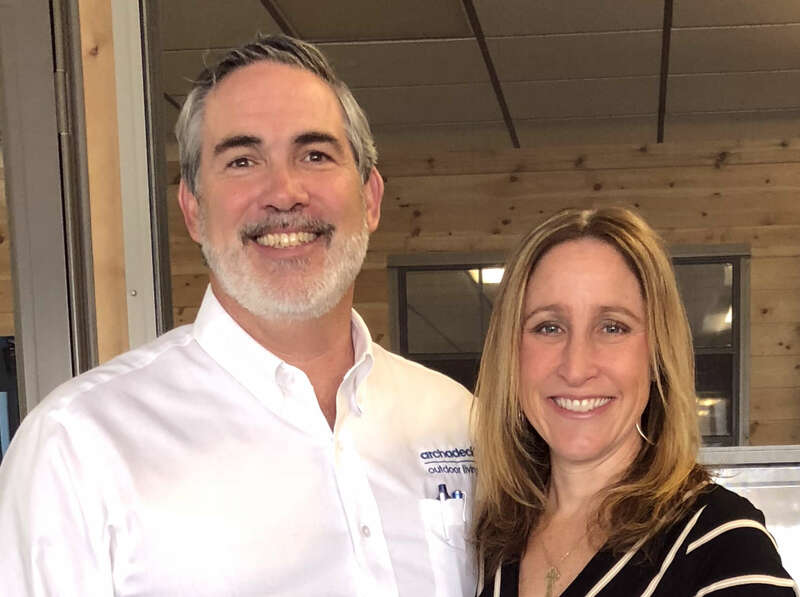 Sign up for a free design consultation or call Archadeck of Chicagoland at (847) 496.4333 to speak with a design consultant and begin creating your new dream space.